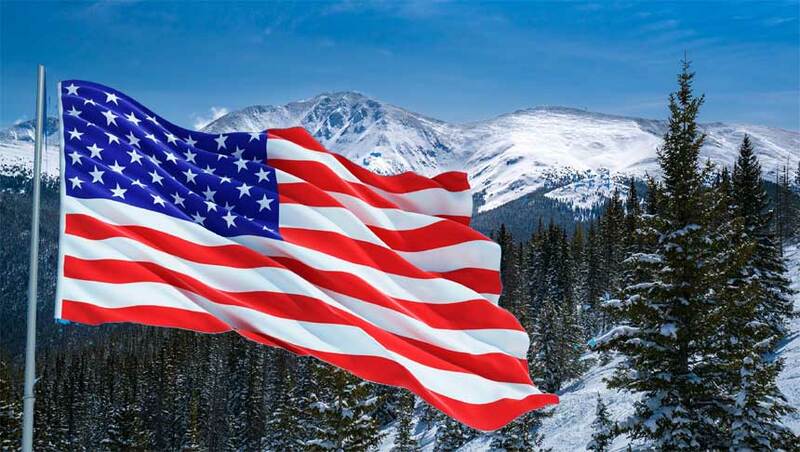 Waving the flag for Colorado ski resorts. 'Front row, come on down'. The lifties at Steamboat Ski Resort have the queue - or line - for the chairlift working with the coordination - and good hunour - of a dosey doe at a barn dance. In the chairlift line dance, everyone filters into six corrals with the front moving forward all in unison, joined by your new partner from the 'singles' line who politely asks if there is space on the five man chair. Compare this to a lift in France where aggression and elbow power mean that the queues work with the coordination of a student riot and the good humour of a French rugby scrum. Also, unlike France, there are NO draglifts in Steamboat and the only T-bar is the very user-friendly apres bar just off the piste near the resort. The lifties in Colorado wish you to 'have a nice day' as they dust off the snow on the seat and grab each chair to slow it down for you to sit on. This is a big improvement on French lifties who silently wish you a bruised calf as they stand back and watch the chair swing around to thwack you in the back of the legs. If riding a gondola, the American lifties will take your skis from you and place them in the outer bins, all speeding up the process and ensuring the 'gondis' are full. The French, though, will stand and shrug as you try to fit your fat skis in the narrow bins before an undignified scrabble to make it through the closing doors in time. At the bars and restaurants, however busy they are in high season, you do literally get service with a smile in Colorado. In France, you get service with a snarl, that is if you're lucky enough to get service at all. 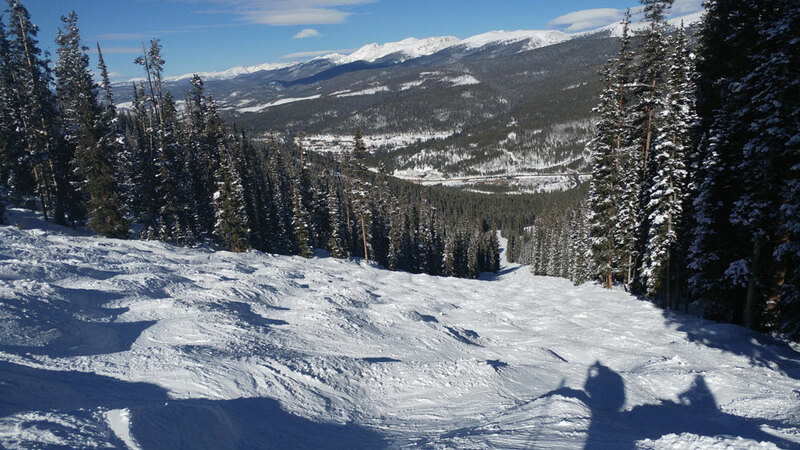 It has to be said that there is some of the finest piste skiing in Winter Park (below). Unlike France at no time do you feel paranoid about a potential collision - the pistes, like their roads, are just so much wider, akin to six-lane highways. Then there are the trail names, and trail classifications. Instead of the 'Drunken Frenchman' in Winter Park (below), the French in Meribel might be inclined to name one of their runs 'Drunken Englishman', that is if humour actually came into their ski piste vocabulary. And another major difference is that you see many people ski touring up the pistes in Colorado, although in France now a few resorts are creating ski touring trails in the trees and alongside the pistes. But, of course, who knows if those ski touring up in Colorado are then using the lifts from mid-mountain onwards (where there are no lift pass barriers) and, thus, avoiding paying the $150 or more daily lift pass? A distinct case of earning your (free) turns. 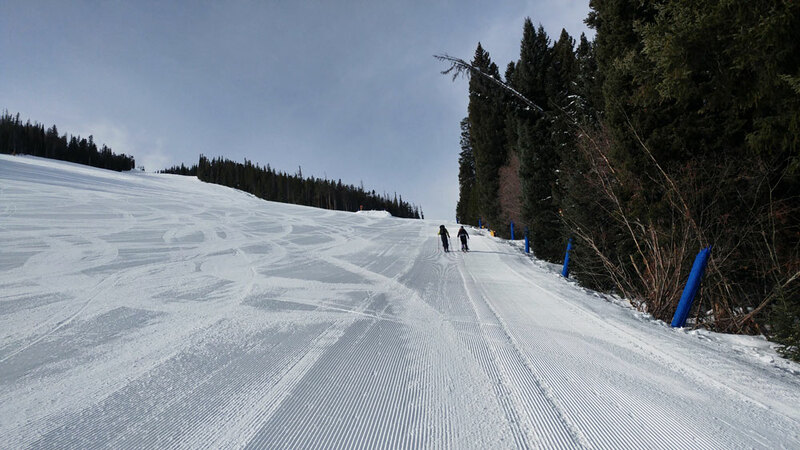 Talking to a few who were ski touring in Winter Park (above) they declared that they felt far safer inbounds in resort than venturing out into the backcountry, which brings us to our next major difference. It has to be said that this is a very grey area in Colorado, though there is no doubt that when you do leave the resort through a gate you are made fully aware via signage. 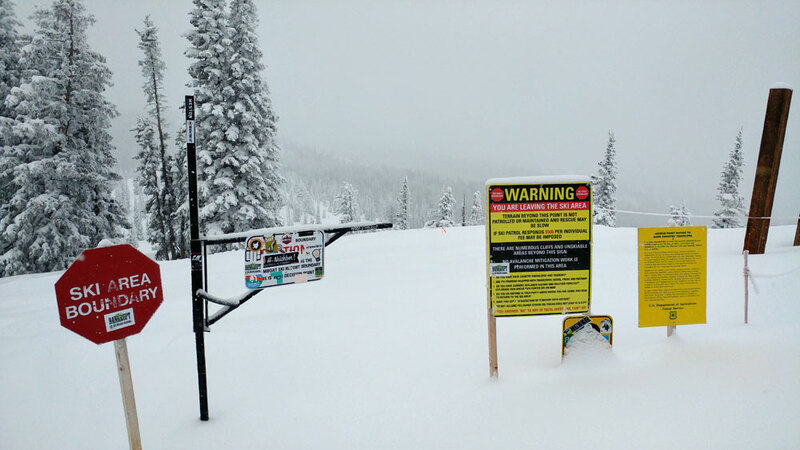 The major difference is that in a resort such as Steamboat, there is so much off-piste to ski inbounds and that it is relatively safe, due to 'Avalanche Mitigation'. You rarely see anyone skiing with avy gear in a pack, let alone an ABS bag - and they don't even rent them in resort as it seems there is no market. Of course, in Chamonix, the gnar crew wear avy bags and ice axes even in the bars. Areas of more demanding off-piste are clearly marked in Colorado as per the image below, so there is never a doubt as to what you might be taking on (and should take safety gear accordingly). The tree skiing is sublime and inter-piste - with perfectly spaced trees. It's almost that they've planted new glades with perfect spacing for turns or they've managed the forests, reducing density to prevent fires spreading and help the trees' survival - also that of skiers and snowboarders. And then there are first lifts. You can be 'pressing glass' in Steamboat for an hour of exclusive powder shredding from an overnight dump with the First Tracks 08.00 opening of the gondola - and they will open on time, if not a few minutes before unlike 'early' lifts in France during half term, which leave keen powder warriors waiting because no one told the avalanche patrollers to get up an hour earlier. OK so you have to pay around $40 in Colorado for the privilege but what price fresh pow? But there is always the inherent risk after a major powder dump of suffocating in a tree well should you end up skiing into one (which would be a somewhat ironic way to go when there such meticulous Avalanche Mitigation). 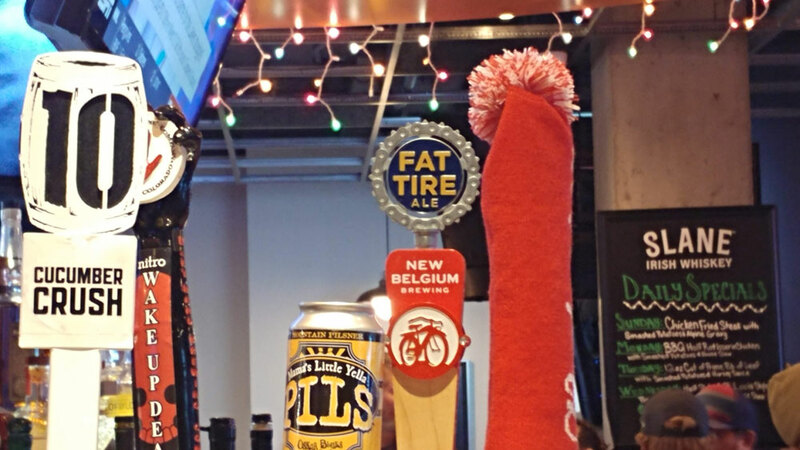 If you like your ales then Colorado is hard to beat - their local brews are considerably better than the gassy lager served in many a French ski resort. Thirty-two Colorado beers won medals at the 2018 Great American Beer Festival. And in Winter Park town there are a couple of great micro brewery bars. Though you have to be careful as the strength of some of these beers is in double figures. However, common sense should prevail if needs must as a closer examination of the beer names do often offer a clue, such as in the image above, Wake Up Dead Nitro. 'We'll show you how easy it is to navigate our award-winning terrain, find that perfect photo opportunity, enjoy a brief history lesson and discover our locals' favourite places and watering holes.' 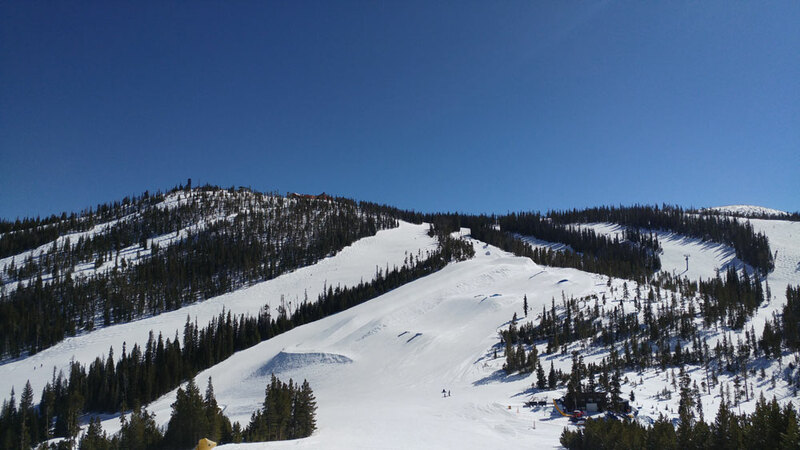 Winter Park volunteer hosts offer free mountain orientation tours, departing at 9:30am and 12:30pm, daily from mid-December through early April, snow conditions and terrain status permitting. 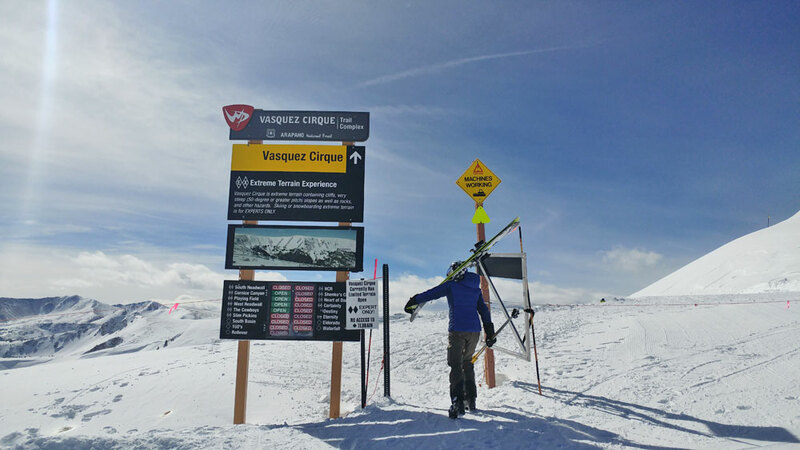 This service is offered by resorts like Winter Park because they actually want you to enjoy the pistes, find your way home and know where there are mountain restaurants. No, they want you to try and find your own way and maybe get lost because the only alternative is to pay for an official ski lesson or mountain guide. This is why they have banned the foreign ski ops from showing their guests around to the detriment not only of new visitors but also the mountain restaurants. Bravo. There's rock music blasting out of speakers in every bar, by the gondolas, at the chairlifts. Colorado rocks with the sounds of The Who, Rolling Stones, Pink Floyd, Hendrix, Fleetwood Mac Led Zeplin, all the 70s and 80s classics. 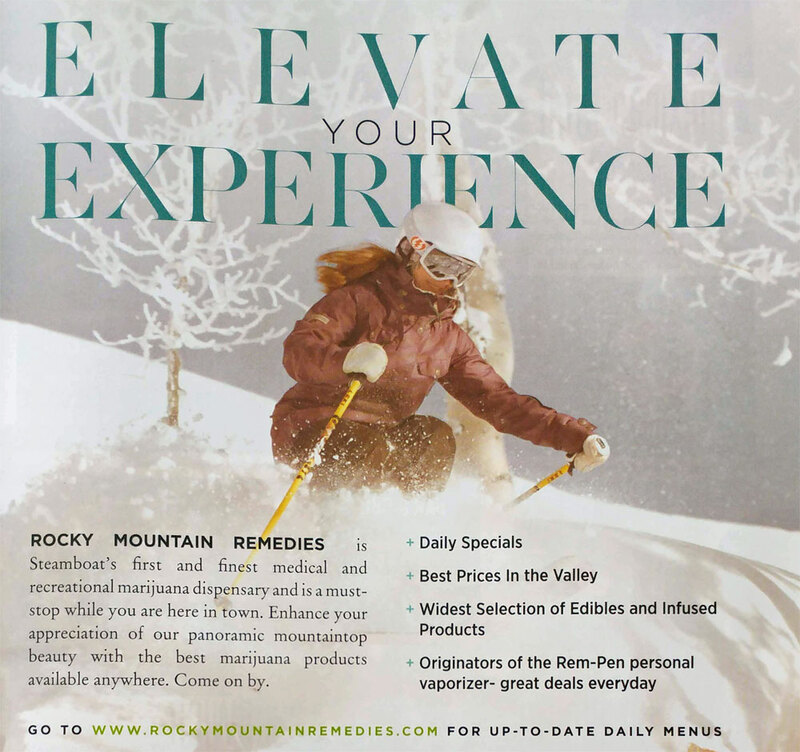 So you're shredding powder with: 'You can't always get what you want, but if you try sometime you find you get what you need' going around your head and a smile on your face (a silly smile if you've imbibed in any of Colorado's legal whacky backy from many of the legal dispenseries). For UK Travellers: A five-night stay in Winter Park, starting 24 January 2020, at Fraser Crossing & Founders Pointe in a Studio Silver room on a self-catered basis, followed by a five-night stay at Steamboat Grand Resort Hotel in a Parlour Suite with two daily breakfast vouchers per room costs £1,795 pp based on two people travelling. Price includes return flights from London to Denver with BA (baggage included) and car hire of a five seat SUV for 10 days. 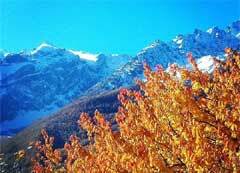 For more information contact Ski Safari (01273 224068).